There are only 2,000 days between a child’s birth and their first day of Kindergarten. Every day, every moment matters. Take Action for Children - Donate Now! Parents, you are your child’s first teacher. The experiences you provide, the bonds you share, and the opportunities you have to ensure your children thrive are invaluable. Learn how Action for Children can support you and your family as you grow together. The Early Childhood Education (ECE) workforce works to promote the social, emotional, cognitive, and physical development of children. AFC works to promote the ECE workforce through professional development and technical assistance. Action for Children’s work is made possible through the support, advocacy, and active participation of the entire community. By hosting events, sharing up-to-date news, and engaging with stakeholders throughout Central Ohio, AFC seeks to inform and inspire. 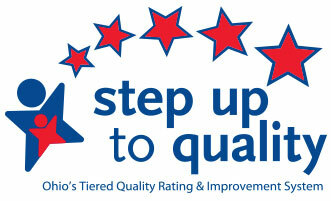 Did you know, all providers must be SUTQ Star rated by July 2020 in order to receive payment for families using PFCC? The COUNTDOWN is on! We ❤ Our Kids | Donate Today! Love is in the air this month, so join AFC and show just how much We ❤ Our Kids! Click below to learn more on how your donated materials can directly benefit the children and families in our community. New CDA Cohorts forming in February | Apply today! We are forming new Child Development Associate (CDA) cohorts that will begin in February and run through June. Our Gold Standard CDA program is open to both center-based staff and home providers with scholarships available. Email Amber if you are interested or need more information. 2019 Provider Trainings and Announcements | Learn More! We provide a wide variety of Professional Development opportunities through our CDA program, SUTQ coaching, classes, special training events, networking opportunities, study groups and more. Don’t wait, read more here and get involved today! AFC Announces New Fatherhood Program for Franklin County Fathers | Read More! Action for Children is proud to announce our partnership with FCCSEA, Jewish Family Services and Goodwill Columbus to provide The Journey program in Franklin County. This blended Fatherhood program is designed to engage non-custodial fathers to help build positive relationships with their children and co-parents while offering individual job development services to improve their career opportunities and economic stability. © 2019 Action for Children. All Rights Reserved.